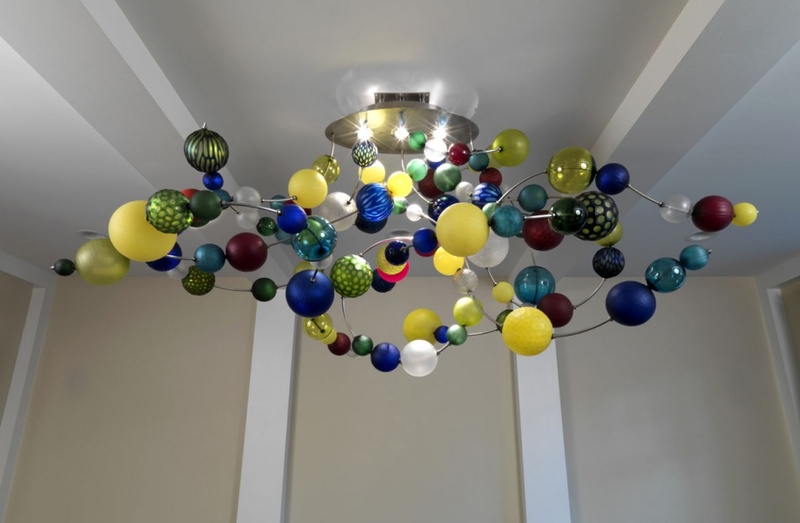 Both sphere sculpture and functioning chandelier, halogen lighting is diffused through the spheres from the steel base plate at the ceiling. Mood Fugue for Dining was commissioned for the dining room of a private residence, home to an important art collection. The sculpture stretches over two meters in width, while descending just a meter vertically, stretching across the space and filling it with joyous light.